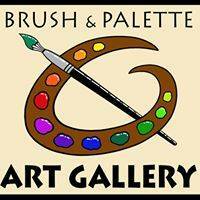 GALION — The Brush and Palette Art Gallery is inviting area artists to exhibit artwork in the gallery’s upcoming special show, “America the Beautiful. The artwork will be featured at the gallery July 2-31. Entries for the show will be received on Thursday, June 29, from noon to 6 p.m.
Artworks may be two- or three-dimensional and ready to be hung on the wall or sit on a table or pedestal. Free standing works also are acceptable. There is a $5 hanging fee for each wall artwork. An open house is planned Sunday July 9, from 2-4 p.m. with light refreshments and a chance to meet participating artists.. Call 419-468-2944 or 419-468-5965 for information.